Wait a minute. The deal hasn’t even closed yet!! The CEO is forcing an exercise in hindsight – in advance. This is a technique designed by psychologist Gary Klein known as premortem. In business we’ve been involved with postmortems for all kinds of projects. As it relates to M&A, we would examine the project in hindsight, after it was over, to examine the causes of the business failure so we can learn and improve for the next time we do a deal. First, how many M&A deals actually go through a postmortem? Very few. Second, the postmortem doesn’t change the fact that the deal was a failure. A premortem is different. In it we look to identify what could go wrong, what will go wrong, in advance, before we start. Although predeal risk analysis is a part of the due diligence process, the premortem’s prospective hindsight approach offers benefits that other methods don’t. A premortem allows – in fact requires – every member of the team to voice their doubts, to identify pitfalls, and this enables the acquirer to take at least some of the necessary steps to avoid the pitfalls they have anticipated. Indeed, the premortem doesn’t just help teams to identify potential problems early on. It also reduces the kind of damn-the-torpedoes attitude often assumed by people who are overinvested in a deal. 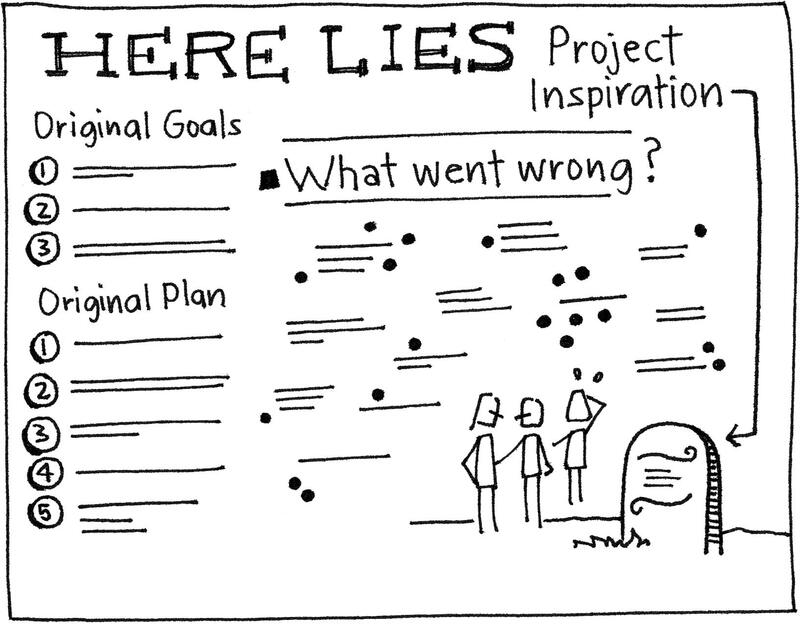 In most cases, problems identified during the premortem won’t cause the demise of the project. More likely, they will cause the project to get tweaked in ways that will improve its chances of success. For the amount of time invested, a premortem is a low-cost, high-payoff activity. It is a simple way to slow down (just enough) to get it right versus go fast and do it over. Moreover, in describing weaknesses that no one else has mentioned, team members feel valued for their intelligence and experience, and others learn from them. The exercise also sensitizes the team to pick up early signs of trouble once the project gets under way. In the end, a premortem may be the best way to circumvent any need for a painful postmortem. The premortem work is different than due diligence. In due diligence the focus is on the target company. In premortem work the focus is on the entire process, from beginning to end, looking at both the target and your own company, and considering external considerations. For example, are we ignoring what competitors might do? An executive might have a very strong intuition that a given product has promise, without considering the probability that a rival is already ahead in developing the same product. 1. Quality of the information. Is the data coming from multiple independent sources or just one source saying the same thing in different ways. 2. Decision-making process. Did the team engage in honest, open debate, or did it engage in “groupthink” in order to avoid conflict? 3. Leadership deference. Did the leader’s opinion unduly influence others in a certain direction? 4. Group mindset. Did the group accept the data without challenging it? Was there a rush to achieve consensus that might have caused key elements to be overlooked? I guarantee that your expectations for the deal, and the integration of the company and the technology that result, will not go as planned. Nothing is ever as clean and straight forward as the plans we make, the theories created by academics, or the how-to guides we get from books or online. If we are constantly surprised each and every time a disruption to the plan occurs we’re going to be terrible at handling and learning from them. About the worst thing that can happen is not that something actually goes wrong, but that something goes wrong and you’re caught by surprise. What this comes down to is managing expectations. Expect that things won’t go right. By doing so you prevent the time wasted reacting to the disruption and can focus on addressing the issue. You set expectations for your Board of Directors, shareholders, employees, and the press. This is an integral part of what I call Forward Looking Due Diligence as well as Integration – steps #3 and #5 the 5 Step M&A Process. Each deal is different but the PROCESS for EVERY deal is exactly the same. Premortems are a great idea. Business owners tend to be dreamers looking through rose tinted glasses. Engineers and attorneys tend to look through glasses tinted with something else, looking at ways things might go sideways. Somewhere in the middle is the most likely outcome. I would agree it is good to do this excercise upfront and have all the people involved in the M&A project brainstorm about possible issues after the acquisition. This can also be a basis for a post-acquisition integration plan. At least it helps in identifying possible issues to be tackled in a the post acquisition process. The external firms doing the DD might have a small scope only and not be able to see possible issues in the bigger picture. Good article. Premortems were also discussed by Daniel Kahneman in his book “Thinking, Fast and Slow” which (among other areas) gave a useful overview of the internal biases which impact our ability to think clearly. One key point which was touched on in the checklist was the “groupthink” issue. By treating the Premortem as being an exercise of imagination, individuals were encouraged to think outside the box and come up with potential risks – which in a normal day to day discussion would have made them sound unduly negative. The premortem allowed these risks to be identified, and to considerably strengthen the planning of the due diligence activities and the integration.